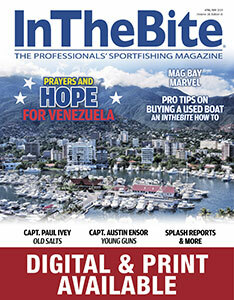 Going in to this event, the reports were that fishing was slow with 3-6 fish a day being average. 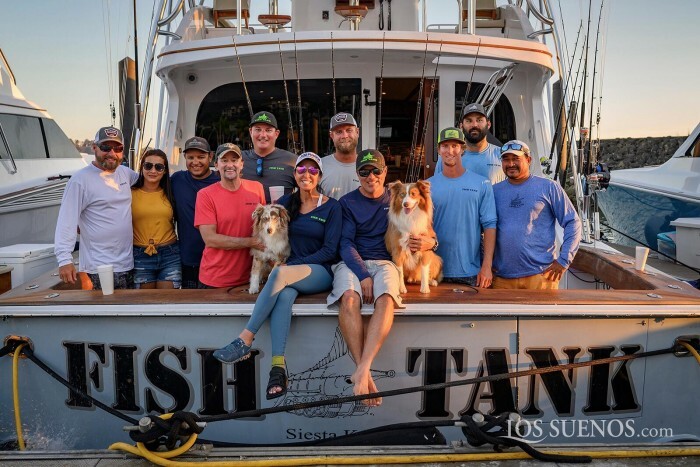 We were pleased to see the teams find the fish when the radio went off with an early bite on Day 1 and ended with a nail-bite inducing finish on Day 3. 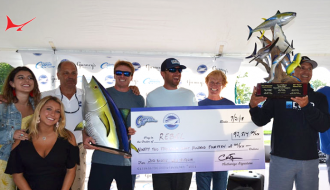 With 100 points awarded for each sailfish release and 500 points for each marlin release, marlin always end up making a difference for the podium finishers. 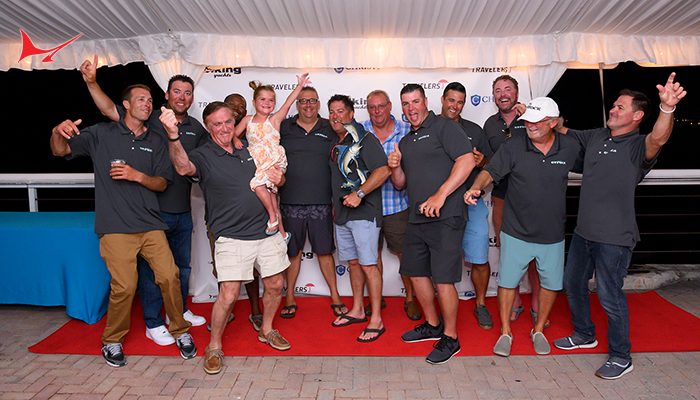 After all the scorecards were reviewed, a three-leg Triple Crown total of 3,945 billfish were released (3,820 sails and 125 marlin) – or 444,500 points achieved by the 51 teams that participated this year, 38 of which were registered in all three events. 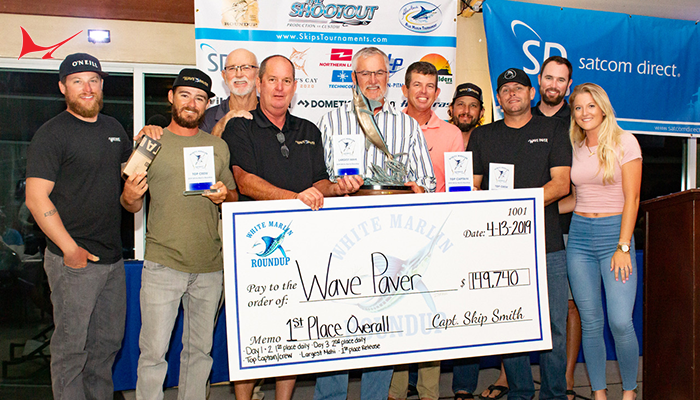 It was Tarheel to call in the first fish of the tournament just eight minutes after lines in, followed in the same minute by a triple sailfish release by Shoe. By 8:37 am four marlin had been released, with another two released in the following hour. In the same amount of time nine doubles were called in a three triples. Needless to say, fishing started off promising. By 10 am a total of 117 billfish had been released (111 sails, 6 marlin) and Fish Tank was in top position, followed by Sea Angel in second, and Tarheel in third. 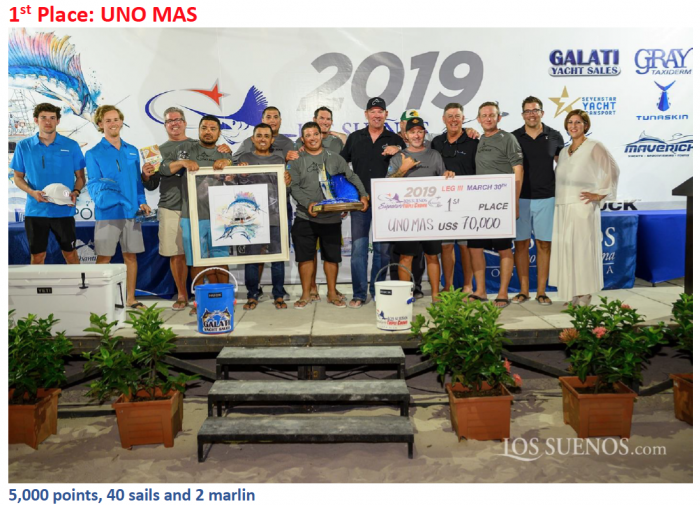 At the end of the day though, Uno Mas had taken first with 2,100 points (16 sails, 1 marlin), Sea Angel remained in second with 1,900 points (9 sails, 2 marlin), and Blue Eagle finished third on time with 1,700 points (17 sails), over Scandalous and Dragin Fly. 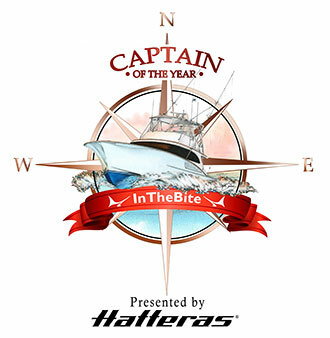 The fleet achieved 373 billfish releases on Day 1, including 361 sails and 12 marlin. Thursday! At precisely 11:24 am Fish Tank released a marlin, starting a flurry of marlin releases with 5 in under 12 minutes. 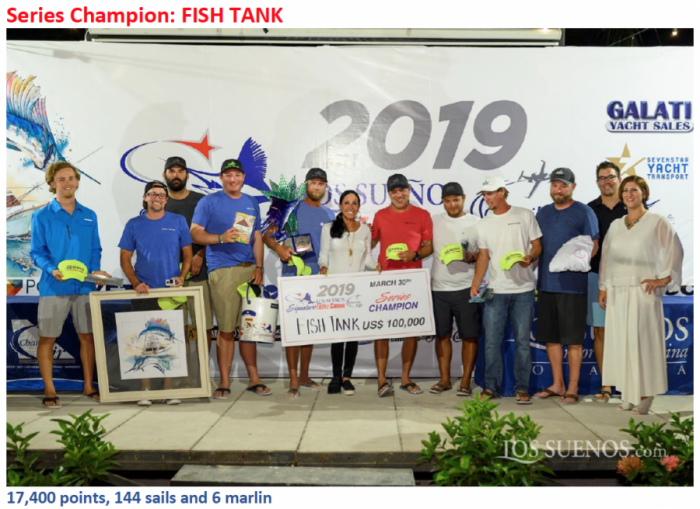 Fish Tank was in top spot at noon with a two-day total of 3,200 points, followed by Hey Chama with 3,100 points, and Uno Mas in third with 3,100 points. 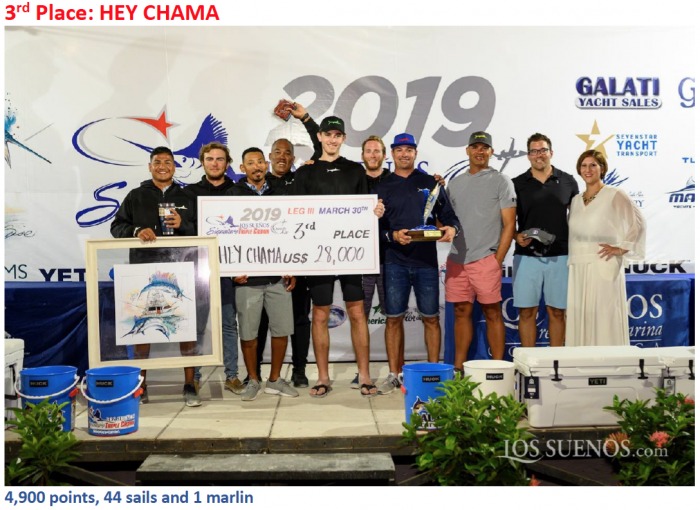 In the end though, Uno Mas pushed their way back to top spot with 16 sails and 1 marlin on Day 2 alone for a two-day total of 4,200 points (32 sails, 2 marlin), followed by Hey Chama with 3,900 points (34 sails, 1 marlin), and Fish Tank finishing in third with 3,800 points (23 sails, 3 marlin) on time, over Sea Angel. A total of 531 billfish were released on Day 2 alone (517 sails, 14 marlin) for a two-day total of 904 billfish (878 sails, 26 marlin). 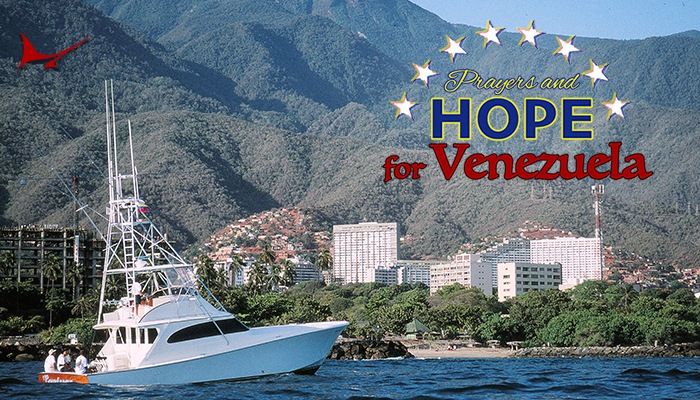 The first hour of Day 3 was an explosion of marlin hook ups and releases, with the first call of the day a marlin hook up by Reel Pushy at 8:05 am, which was released only five minutes later. By 8:40 am, a total of 8 marlin had been released, including a double header striped marlin by Numero Uno, who went on to win the day with an impressive 2,100 points after releasing 6 sails and 3 marlin. By 2 pm the fleet went on to release 212 billfish, with Hey Chama then in first with 3,400 points, followed by Blue Eagle with 3,400 points, and Fish Tank also with 3,400 points. Off Duty finished the day off nicely with a triple sailfish release at 4:04 pm, bringing the total billfish releases for the day to 330 (318 sails, 12 marlin) and the three-day combined total to 1,234 (1,196 sails, 38 marlin). 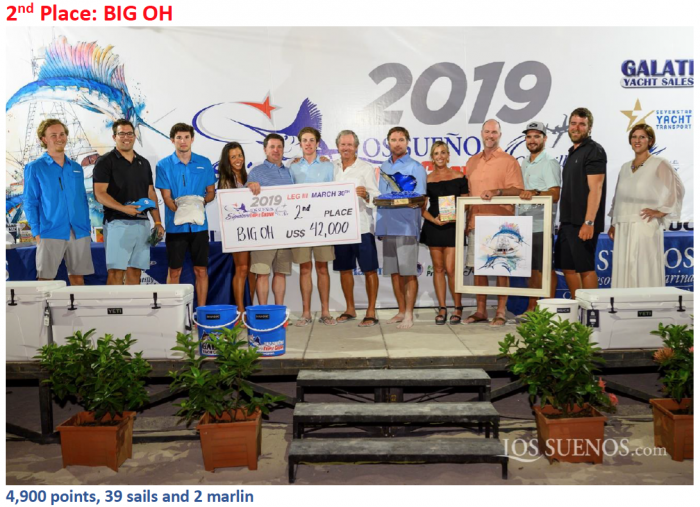 Uno Mas finished first for the tournament with 5,000 points (40 sails, 2 marlin), followed by Big Oh in second on time with 4,900 points (39 sails, 2 marlin), and Hey Chama in third with 4,900 points (44 sails, 1 marlin). 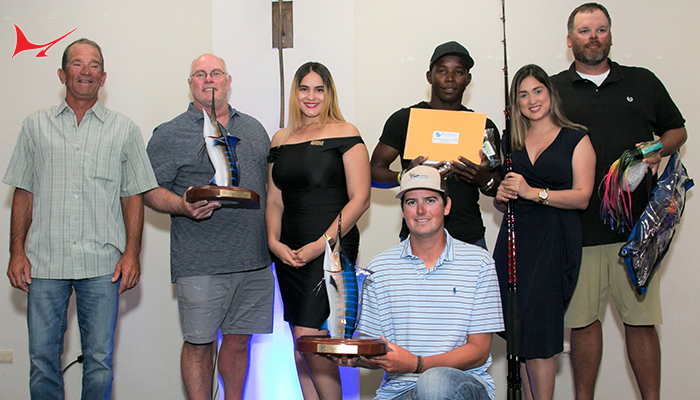 On behalf of the tournament committee and everyone at Los Sueños Resort and Marina, congratulations to all winners!